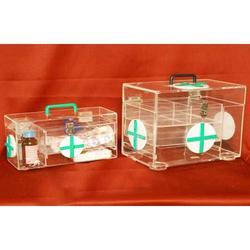 We have been capable of manufacturing and supplying of optimum quality Acrylic First Aid Boxes. First Aid boxes are highly useful and elegant. These emergency first aid kits are easy to handle and have a special design for high performance. We are one of the trusted names in the market to provide Portable First Aid Box Group that finds a vast application in hospitals, offices, schools, colleges and others. Known for their huge storage capacity, lightweight and portability, the offered range can be availed in several dimensions. 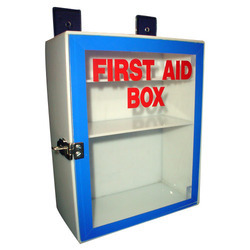 We manufacture and test these high durability first aid boxes at industry leading prices. 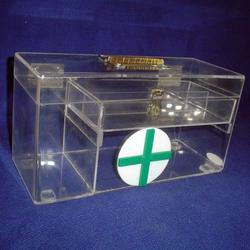 We are engaged in the manufacture and trade of Acrylic First Aid Kit that is widely appreciated for its magnificent size and capacity to store different medicines. The offered range is made in adherence to the industry standards and tested on several quality parameters before the final dispatch. These lightweight and easy to mount jumbo boxes are quiet popular. We are one of the trusted names in the market that offer Medicine First Aid Box in a varied range of sizes. 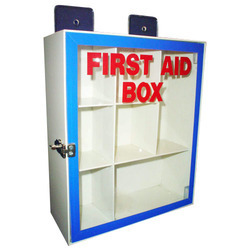 Provided with a vast capacity to store several types of medicines, these first aid boxes can be easily mounted on the walls of offices, colleges and other places. The offered range of boxes comes with several compartments that help in keeping the medicines from mixing. We are engaged in the manufacture and trade of Mini First Aid Box that can be availed in several specifications to cater to the diverse client needs. The offered range is provided with three partitions for keeping different types of medications. Mini first aid boxes provided by us are known for their wide capacity, simple design and high durability properties. 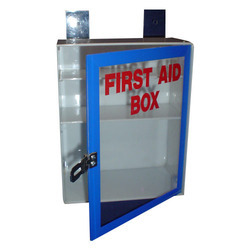 Medha Acrylics is the preferred name in the industry to provide Portable First Aid Box that is made from superior quality plastic material. Provided in several dimensions, these portable and high durability boxes are appreciated for their lightweight and excellent finishing. The presented series of portable first aid boxes are subjected to several quality tests before the final delivery.